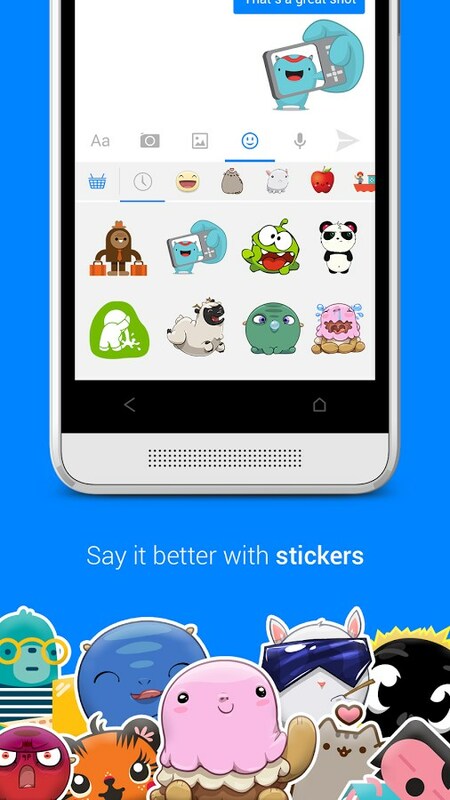 Facebook Messenger – Soft for Android 2018 – Free download. 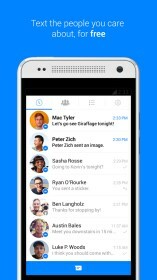 Facebook Messenger – Facebook instant messaging and WiFi calls. 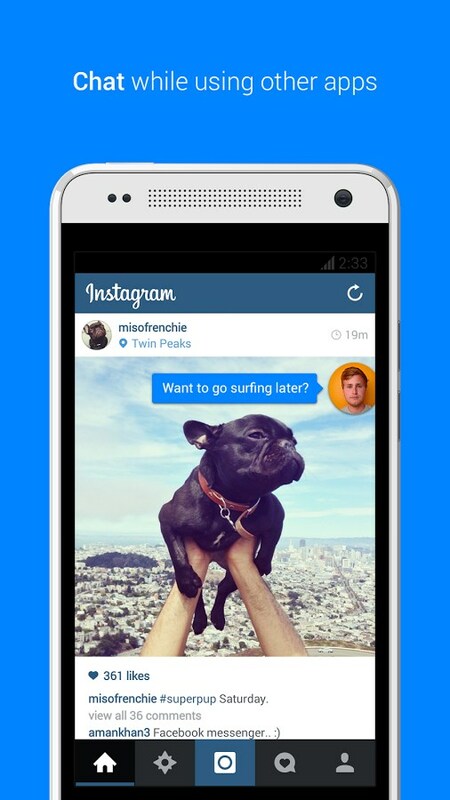 Facebook Messenger for Android is this social giant’s effort at joining the world of instant messaging. The app functions fairly well, but has some serious glitches at this time. 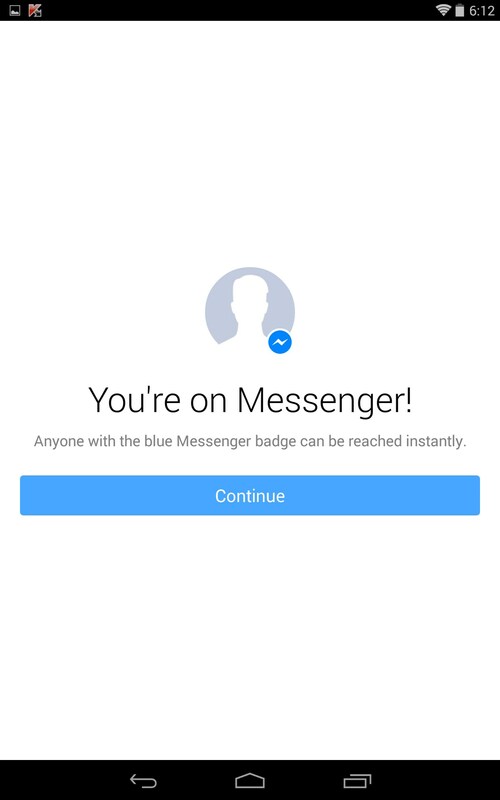 Facebook Messenger is just a natural progression for this social media behemoth. 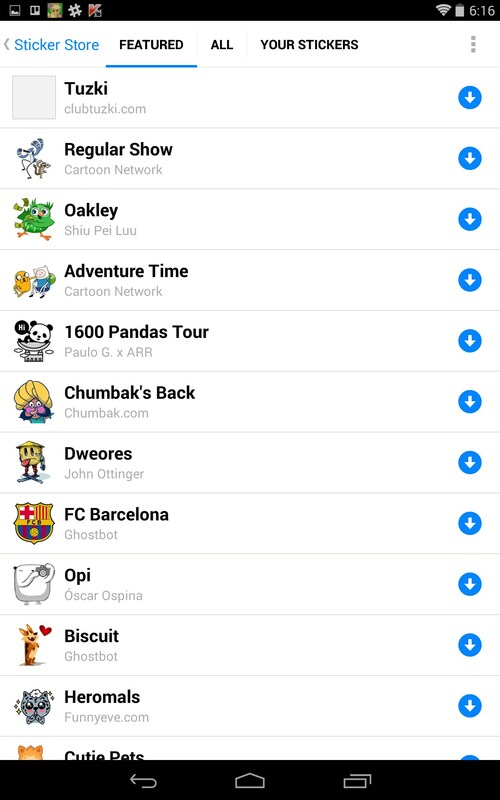 The app offers all of the connectivity and brand presence of Facebook and combines it with powerful instant messaging capabilities. I don’t use Facebook much, but from my limited exposure, I always found their messaging to be needlessly cumbersome. This app should help remedy that by adding the ability to easily communicate with all of your friends and followers with ease; or at least that’s the promise. The best feature here, by far, is the innovative ‘chat heads’ which allows you to multitask and use other apps while still communicating live with friends. 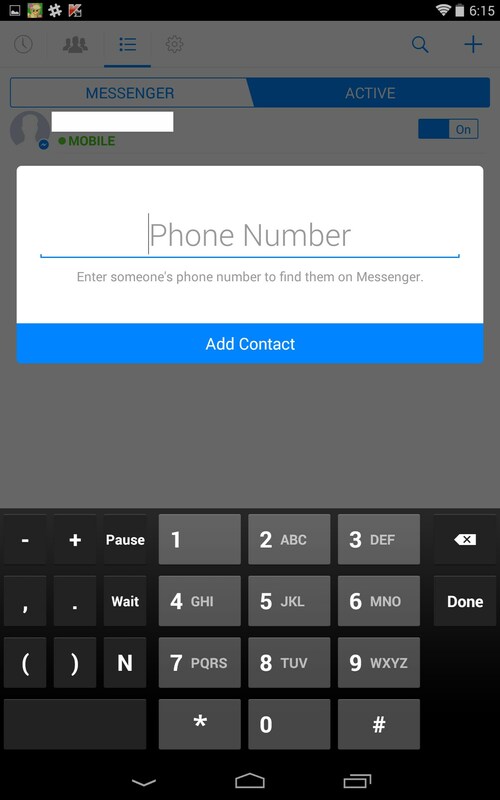 You can even make free phone calls over WiFi to any of your contacts. 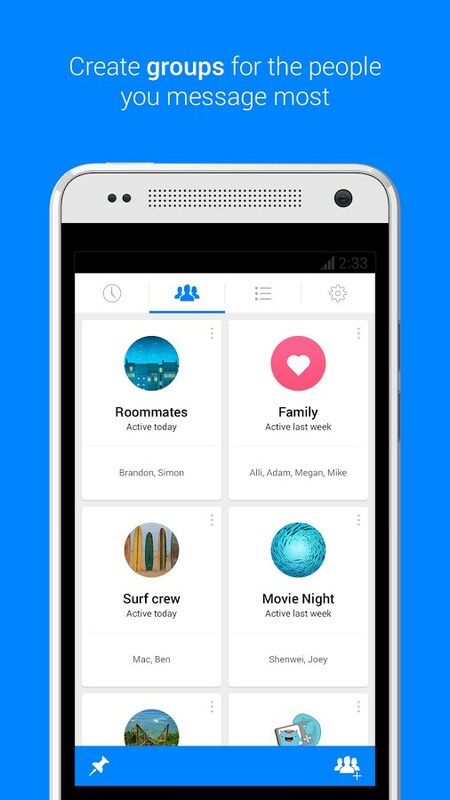 This all kinda points in the direction of Facebook mobile, and I’m guessing the company will soon branch out into mobile devices. The app functions ok, but is definitely bogged down by glitches and hangs. I had problems logging in, right from the word go; the app said it couldn't establish an internet connection, then outright crashed. 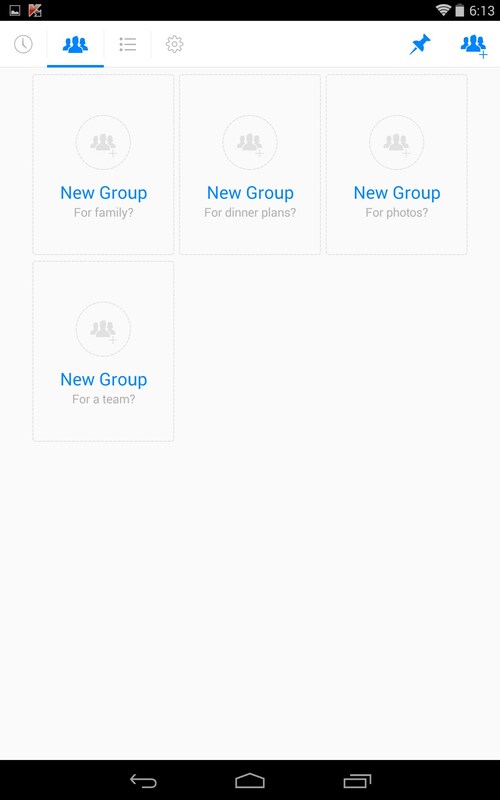 However, once inside the app, you can create groups based on categories like family, friends, coworkers, etc. However, push notifications don’t always appear right away and chat heads often boots you off while multitasking. But this app is still relatively new, so it’s going through some growing pains. Facebook Messenger will undoubtedly become a cornerstone app. If you are a heavy Facebook user, I don’t see how you can avoid this one. The app is glitchy, but all that will be ironed out soon enough. 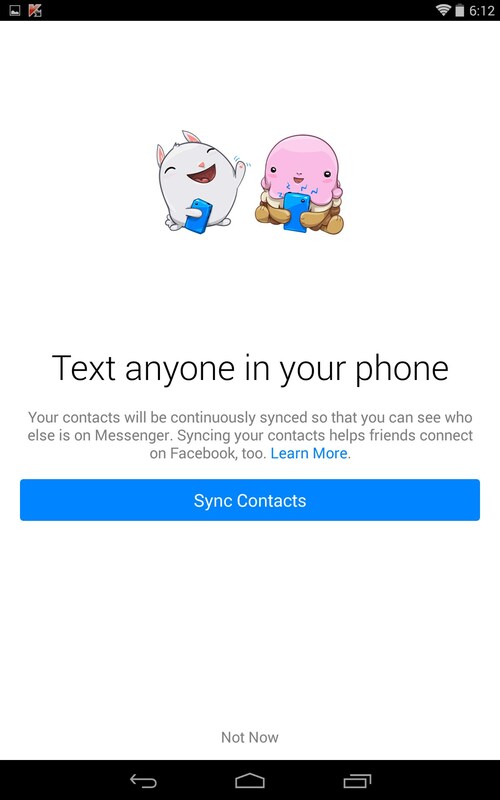 And what we’ll be left with, is a highly powerful messaging app that integrates the whole of Facebook on your gizmo; complete with instant messaging, phone calls and free privacy invasion. Enjoy! 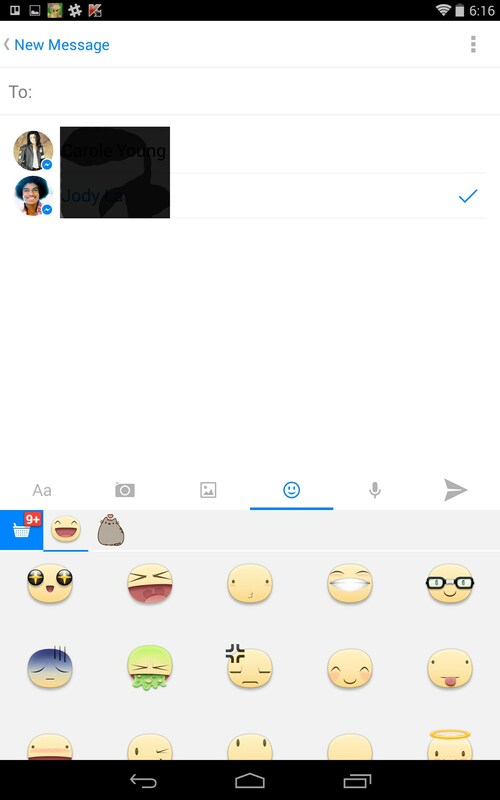 why i cant use the updated messenger with my day feature in my samsung galaxy pocket neo? Has this issue persisted for several days? If not, it could be a temporary issue on Facebook's end. If not, I'd try to reinstall the app again or try a different connection, if you can. You will need to install an apk to use it on your device. These files are basically packages the apps come in that your phone recognizes. We don't host apks on our site, so you'll need to seach Google. I'd also be wary about installing a third party apk because they could host viruses. Is it possible that your internet connection is what's giving you the problem? It sends me to google store and google store doesn't let me install it ! 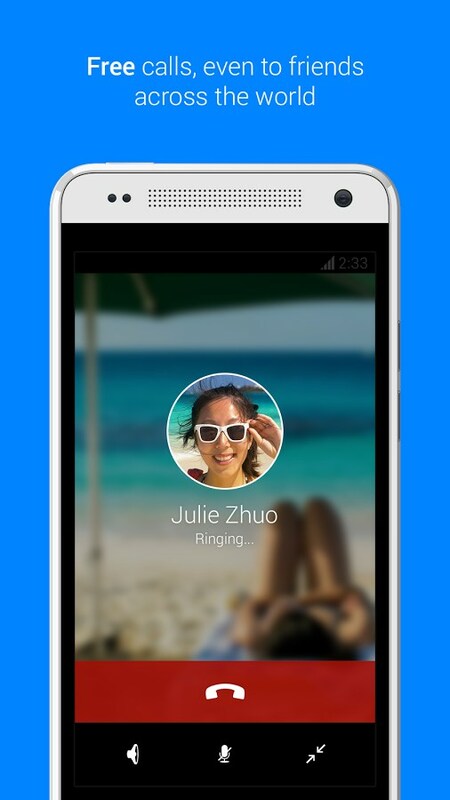 Do you know if Facebook Messenger is available in your country? It's not working on my Samsung Galaxy Young! Hey Mhaui, can you explain your issue in more detail? 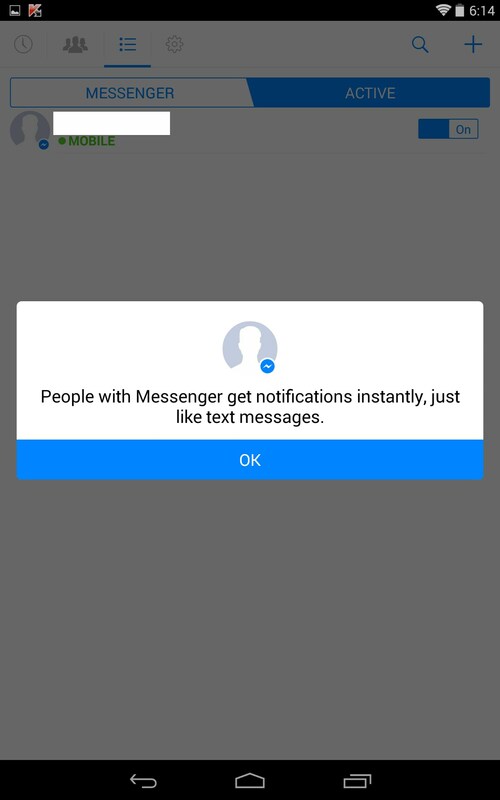 Yep, makes messaging on Facebook super convenient. Try searching for the app on your Play Store and see if it's compatible. Sometimes the links we have are region locked. hmm, it sound's like a low spec phone, but you can try it - tap on "free version" above to go to the play store and try to download it. 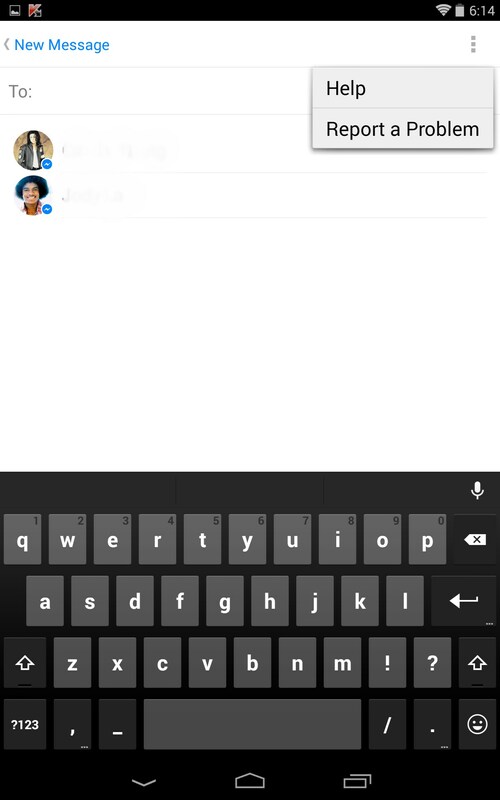 If it doesn't work, you can also do faceook messaging through your phone's browser (not the facebook app). Is it asking you to log into the play store to download the app? If you're trying to download the app via the Play Store web page in your browser then I would try searching for it through your Play Store app on your phone. 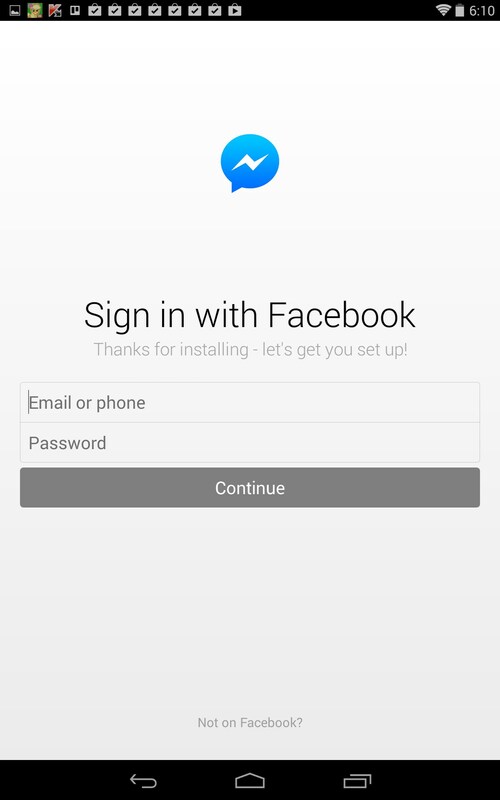 You'll already be logged in and shouldn't have that issue. asus memopad running 5.0, there is no option for video calling? It only allows voice calls ? 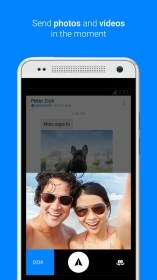 how can I download facebook messenger for my samsung gslaxy pocket GTs 5300..? I cannot download it..there is a problem with the server..how do I do it..? hi there, did you click on "free version" above to go to the Play store where you can download this? I can't download faces messenger, hw do I do it? 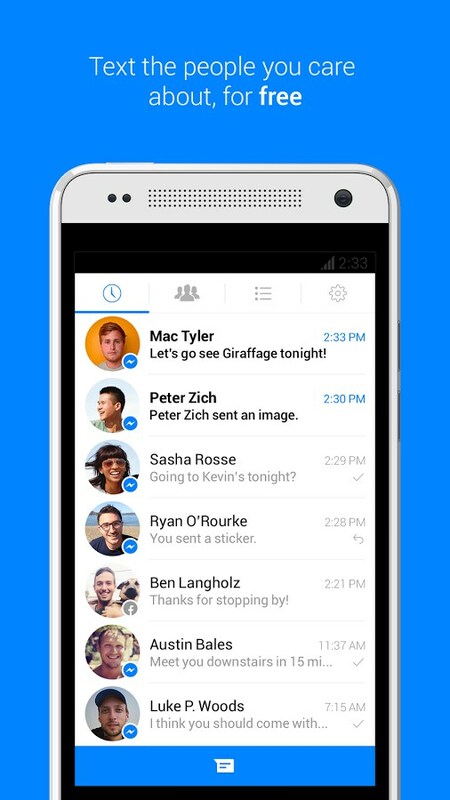 Where can I get the old version of fb messenger? 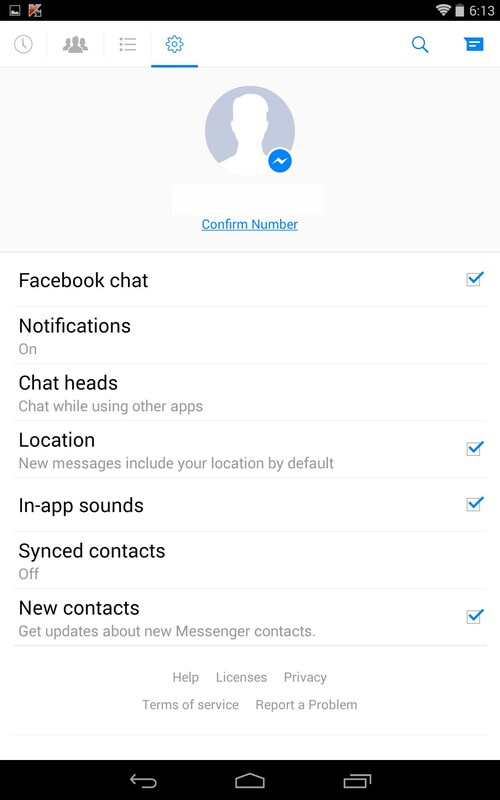 you could try downloading it from another source, just search "facebook messenger android"
What exactly prevents you from launching the app? Please be as descriptive as possible and make sure to include any error messages displayed. I believe the app requires a newer version of Android in order to install. In order to check with 100% accuracy, you can attempt to install the app and see if Google Play indicates any incompatibilities. I'm afraid I will require more information. What exactly is the issue that prevents the app from installing? Please be as descriptive as possible and include any error messages displayed. Also, please always mention your device model and OS version when requesting assistance. Firstly please mention what device model and OS version you are using so the information i provide is accurate. Secondly please mention the issue in greater detail. Does the app download correctly? Is any error message displayed during download or installation? If so what is the error. I'm not sure i understand the issue. Are you having trouble downloading the issue or launching? If it is download related issues then when attempting to install, make sure you are logged in with the same Google account on your PC and your Device before attempting to launch the installation from the PC. If Google play indicates that your device is incompatible then i'm afraid there is nothing we can do, you will have to wait and see when/if compatibility with your device is added. For the record: please always mention what device and OS version you have before requesting assistance. This will help make sure that all information provided is as accurate as possible. Firstly, i strongly advise against posting your real number on public comments and forums. 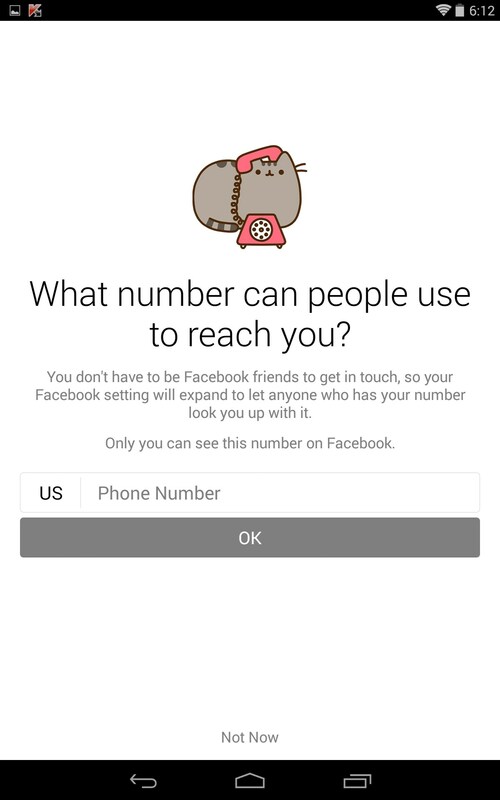 Secondly, i believe you can only use the Facebook Messenger to call other people who have the Facebook Messenger app and have set up the calling option. Can you please confirm that the person you are trying to call has these set up and is online?